Your life will change when you meet him. “Once you meet Bret, your life has changed,” says Lynn of her grandson. 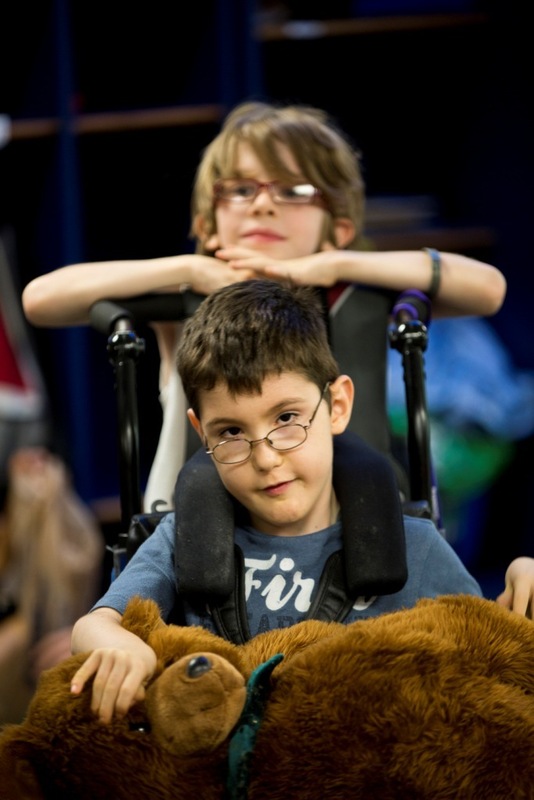 Bret is 11 years old and has Cerebral Palsy and a seizure disorder. Currently, Bret receives Rainbows’ Targeted Case Management services and attends Camp Woodchuck. “I really enjoy working with Bret and his family; they always greet me with a smile as we work together to meet their needs,” said Melissa Richardson, Rainbows’ Targeted Case Manager. Bret has received Rainbows’ services since birth. During his early development he received Infant/Toddler Services including speech therapy, physical therapy, occupational therapy. Melissa has been a great resource for the family. She helped find funding to purchase a van with a wheelchair ramp, which was a much needed item for Bret’s care. Services throughout Bret’s life have made a difference for his entire family. “Rainbows has improved the health and well being of our whole family, it has made life a lot easier and a lot better,” Lynn said.